We’ve heard so much about the danger of asbestos exposure. Here are a few facts that may either calm us, or help us realize the danger we are in. Asbestos is a group of minerals with thin microscopic fibers. These fibers are resistant to heat, fire, and chemicals and do not conduct electricity. Asbestos has been mined and used widely in the construction, automotive, and other industries. 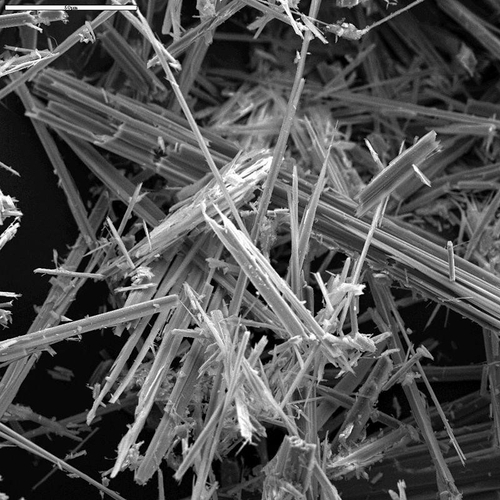 If products containing asbestos are disturbed, the tiny fibers are released into the air. When they are inhaled, these fibers can become trapped in the lungs and stay there for many years. Over time they can accumulate and cause serious health problems. Asbestos exposure may occur in the workplace, home, or community. Mined and used commercially since the 1800s, asbestos has been used in many products, including: car brake shoes and clutch pads; building materials, including ceiling and floor tiles; paints, coatings, and adhesives; plastics; vermiculite-containing garden products; and some talc-containing crayons. Due to federal regulations and health concerns, asbestos is much less widely used than it was just a few decades ago. From studies of people who were exposed to asbestos in factories and shipyards, we know that breathing high levels of asbestos fibers can lead to an increased risk of lung cancer in the forms of mesothelioma. Exposure to small amounts of asbestos does not develop these health problems. However, if disturbed, asbestos material may release asbestos fibers, which can be inhaled into the lungs. The fibers can remain there for a long time, increasing the risk of disease. Asbestos material that would crumble easily if handled, or that has been sawed, scraped, or sanded into a powder, is more likely to create a health hazard. Most products made today do not contain asbestos. Those few products made which still contain asbestos that could be inhaled are required to be labeled as such. However, until the 1970s, many types of building products and insulation materials used in homes contained asbestos. If in good condition, leave asbestos material alone, because it will not release asbestos fibers. There is no danger unless the asbestos is disturbed and fibers are released and then inhaled into the lungs. Just check it regularly, but don't touch it. Look for signs of wear or damage, such as tears, abrasions or water damage. Damaged material may release asbestos fibers. If slightly damaged, the best way to deal with it is to limit access to the area and not touch or disturb it. If damaged, discard it after checking with local health, environmental or other appropriate agencies to find out proper handling and disposal procedures. If more than slightly damaged, or if you are going to make changes in your home that might disturb it, repair or removal by a professional is needed. Repair is usually cheaper than removal, but it may make later removal of asbestos more difficult and costly. With any type of repair, asbestos remains in place. Repair usually involves either sealing or covering asbestos material. This should be done only by a professional trained to handle asbestos safely. Before you have your house remodeled, find out whether asbestos materials are present. If you want to know how to identify materials that contain asbestos, and how to handle them read more here. Unnecessary asbestos removal is a waste of money. Improper asbestos removal may actually increase the health risks to you and your family. Always follow safety instructions when you see warning signs regarding the presence of asbestos exposure. If you want to know more about Asbestos Professionals: who they are and how they can help you read here.